THE GOG BLOG by RORY SPEARS, Editor and Director of Content. Follow Rory on Facebook, Linkedin and Twitter @GogBlogGuy. Wrapping up the fall college golf season. Watch Golf Channel live today, the East Lake Cup with Illinois. The work started about one year ago, and now in less than 30 days it’s expected to be complete. That work is the Cog Hill Course #4 “Dubsdread” bunker project, and now superintendent Chris Flick and his crew almost finished. The green side bunkers were done by the time Course 4 opened for play this past spring. over the summer work started on the fairway bunkers, and the removal of some ten sand bunkers that are being turned into grass bunkers or no bunkers at all. The fairway bunker on the 9th hole, on course 4 at Cog Hill. With the new Tour Angle sand ready to be packed into place. The course has become much more playable than in the past few years with the changes. However a recent Golfers on Golf visit to check on conditions, unfortunately took place on the day the course re-opened after three days of aeration and sanding. Both things are needed to maintain optimum playing conditions over the long and hot part of summer, and better conditioning in the future. By now the fairway bunkers on the front nine are completed, and the fairway bunkers on the back nine are expected to be completed before Thanksgiving. While the final closing date for the year has not yet been determined, the window is closing for playing course 4 in 2017. The regular rates are now lowered for the fall golf season. The Par 3, 14th hole complete with the new cart park, new tour sand and the removal of one large bunker, that now has a chipping area in it’s place. Course 4 has a few other improvements that include, a cart park over-looking the par 3, 14th hole. There are nice wood-grain and stained safety railings along the cart paths near the tee boxes on holes 13 and 14. Some of the removed bunkers on the golf course, include the far-side of the first fairway where right down the middle tee shots used to end up.One of the two front bunkers on the 8th hole, on the right side of the fairway. A bunker on the backside of the 14th green, and the bunker on the right side of the 18th fairway near the maintenance shed and there are a few others. So if your looking for a challenging golf course and Chicago’s top public and championship venue, play Cog Hill #4. 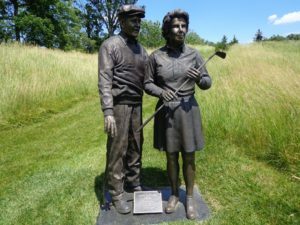 If you find a trap or two during your round, you can hit from the same sand the pro’s do at both the Masters, and the Jack Nicklaus Memorial Tournament at Muirfield Village in Ohio. Cog Hill does keep courses #1 & #3 open all year round, and the practice facility is open almost every day all year as well. There are heaters blowing down in the covered area’s. For more information on the new look Dubsdread, Course #4 at Cog Hill visit Coghillhillgolf.com or call (866)-COG-HILL. It was nice enjoying a week where I got to play 75 holes of golf. The bad news was that I only played 30 of them in temperatures of more than 48 degrees. 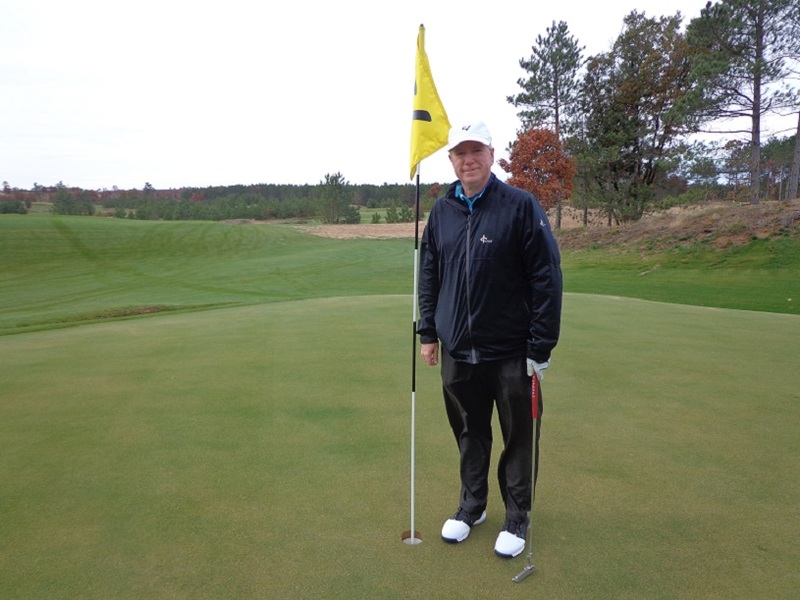 All 30 of those holes were played last Monday at the Sand Valley Golf Resort in Nekoosa Wiscosnin. 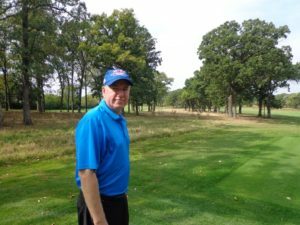 The rest of the week saw more golf at Sand Valley, Cantigny Golf and the north shore area gem Old Elm. All of the courses had projects going on, and I’ll have more on that below and in the next few days. I am sorry that my schedule has not allowed me to post more frequently in the last 8 days, but that should change in the days ahead. It does sound like there could be some better and warmer weather by Thursday, maybe golf will be back on by then. However if you like playing in the upper 40’s, today tomorrow and Wednesday are for you. Long John Daly (L) with Rory Spears, on the 9th tee at Shepherd’s Rock Golf Course at the Nemacolin Woodlands Resort. Get well wishes to “Long John” Daly who collapsed on the golf course this past Saturday. Daly who complained of knee pain the week before, was walking down a big slope off a tee box, when he went down near a cart path. Daly tried but could not put weight on his leg and was helped from the course. He was forced to W/D and take last place money. Daly sits in 29th place on the money list, with the Champions Tour, Tour Championship just two weeks away. The top 36 players on the money list will play in the tour championship. 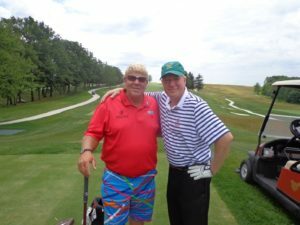 Daly has been playing in recent weeks on the tour, and he told me during the grand opening event at the Nemacolin Woodlands Resort for the Shepherds Rock golf course, that his Vertical Groove Driver has helped propel his game. I hit Daly’s driver and was impressed with the result of my drive. GUILTY AS CHARGED was Tiger Woods who was in court this past week on his drunken driving charges, for the night that Woods was found passed out in his damaged truck in Florida, and believed he was in California in route home from a golf tournament which was not the the case. Woods was found guilty of a lesser charge, and is on probation for one year. Should he complete all the terms of his probation and there are several, everything from this situation can eventually be sealed in his records and erased like it never happened. In most sports players who commit offenses such as what Woods did, they receive additional suspensions from the league they play in. Woods should be suspended from the PGA Tour after it’s decided that he can resume playing. It will interesting to see what the PGA Tour does. It was great to see the United States Golf Association (USGA) recognize the newly renovated Preserve at Oak Meadows with it’s first USGA event in 2018. 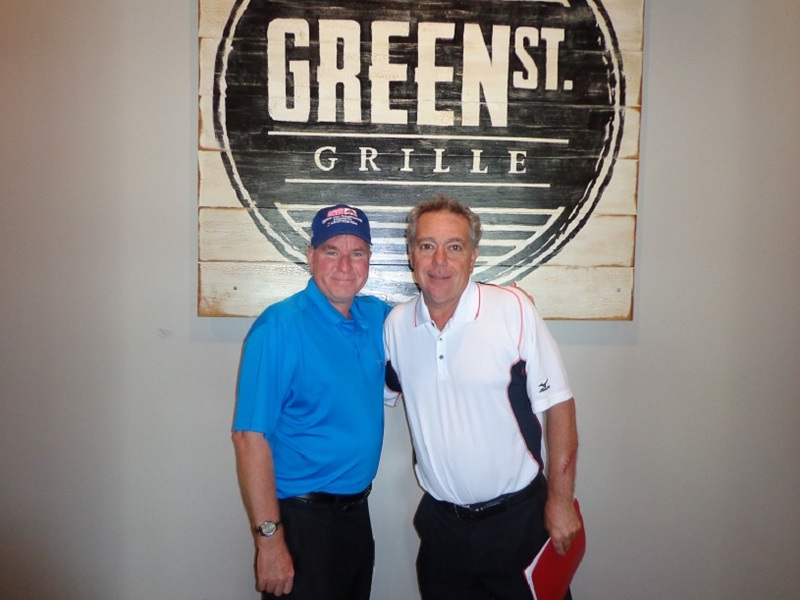 A tip of the cap or golf visor to DuPage County Ex. Director Ed Stevenson, the board and architect Greg Martin for creating a golf course, that is being noticed on a national level shortly after reopening from it’s renovation. On Monday July 9th The Preserve will host a U.S. Amateur qualifier, for the amateur to be played at Pebble Beach. Many of the top local players trying to qualify for the amateur and trying to be the next Doc Redman or Doug Ghim will be there. I wish them luck on making it to Pebble Beach and Spyglass. WHY USGA WHY..What’s the rush. With all the great golf destinations and clubs wanting a U.S. Open, what’s the rush to go back to Pebble Beach with a U.S. Open in 2027. 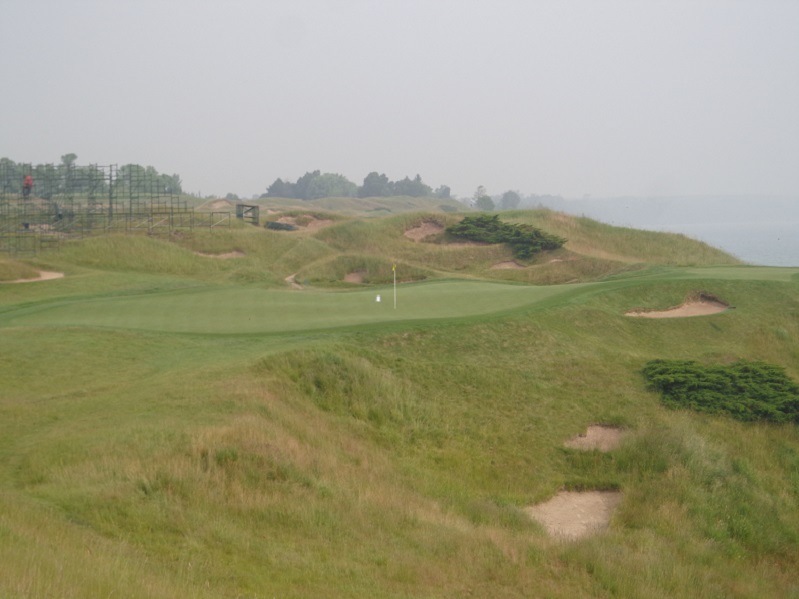 That year should have been a Midwest site, Erin Hills again? maybe. 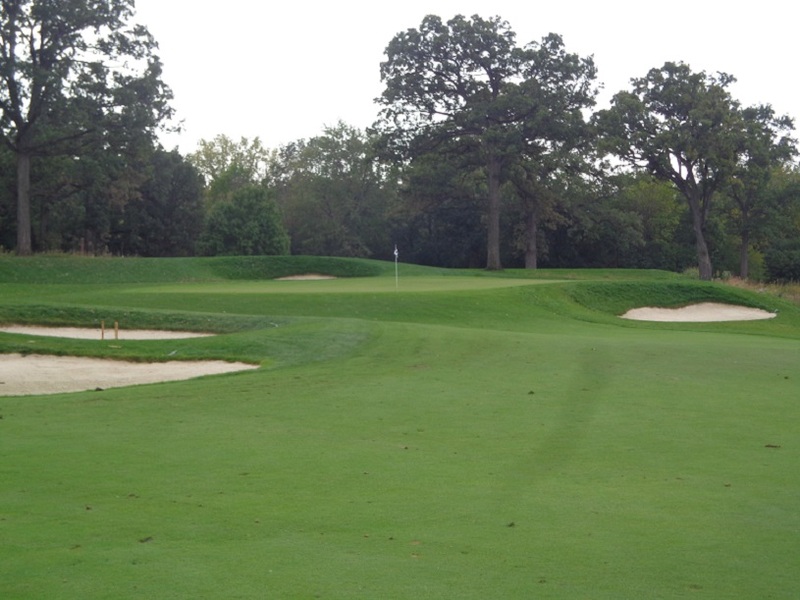 Or Oakland Hills, Medinah. The USGA already has premature return dates to Oakmont, Shinnecock Hills and now Pebble Beach, at least the USGA waited ten years before a return to Pinehurst. It’s time to spread out the U.S. Open’s and let more clubs have the chance to host the prize of American golf, it’s what exposes more people to the game in different area’s of the country. 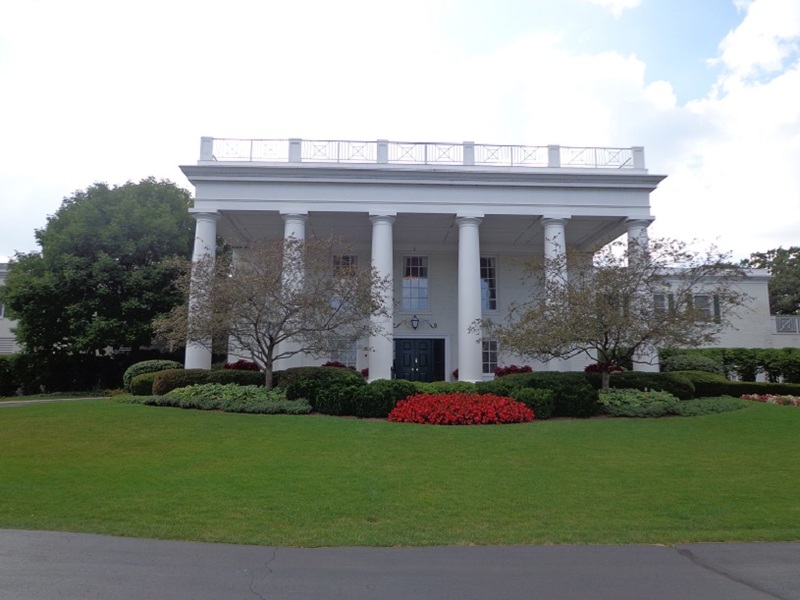 THE INAUGURAL U.S SR. WOMEN’S OPEN at the historic Chicago Golf Club in Wheaton, will be played next July in the week of July 9-16. The USGA will be announcing it’s need for volunteers and begin the sign up process within a week or two. Stay clicked in here for more details. BIG 3 PARTNER LEN ZIEHM is on the move in Florida. Len just completed 3 days at Streamsong Resort, where the new Gil Hanse Black Course is open. Then Len spent 4 days reviewing golf in the Daytona area. Check it all out at Lenziehmongolf.com. I JUST GOT a mailer with coupons from the Wild Buffalo Restaurant and Pub located at the Buffalo Grove Park District Golf Course. The newly remodeled dining room comes complete with Video Gaming. Call (847)-215-9453 (WILD). EMILY NASH the high school girl from Massachusetts who won a boys state regional tournament has been in the news. A couple of online golf publications have been in the outrage mode when Nash who won, was not given the trophy. She was offered the trophy by the boy who was awarded it, but she turned it down. Classy move by the young boy. Nash will not be allowed to play in the next round the state tournament. Rules state girls can play as part of a team, but not as individuals and her team did not advance. Nash didn’t know she couldn’t win if she won, but rules were there in advance. While the outrage will continue, it’s time to move forward. 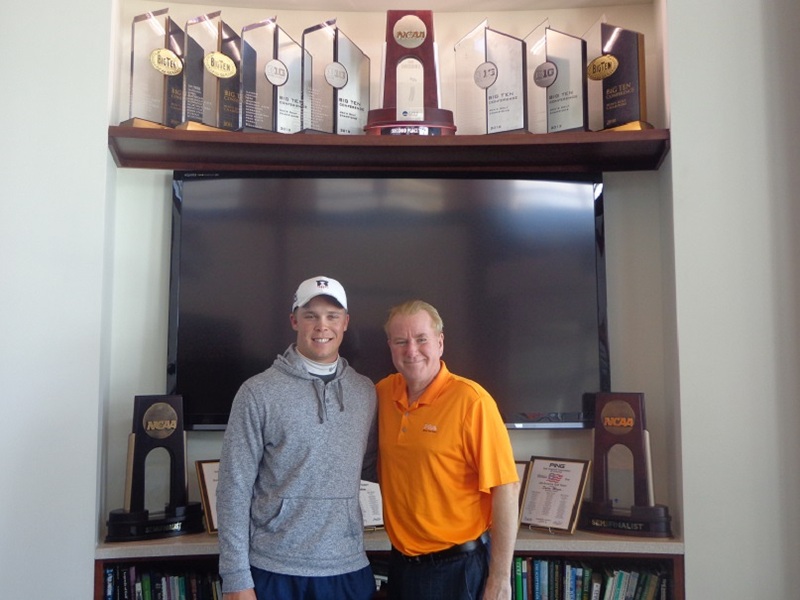 Nash with all the hype, is likely to land numerous offers from colleges to play college golf, and in the end a college golf scholarship is a much better prize than any trophy. The Gog Blog returns all week long. RS. 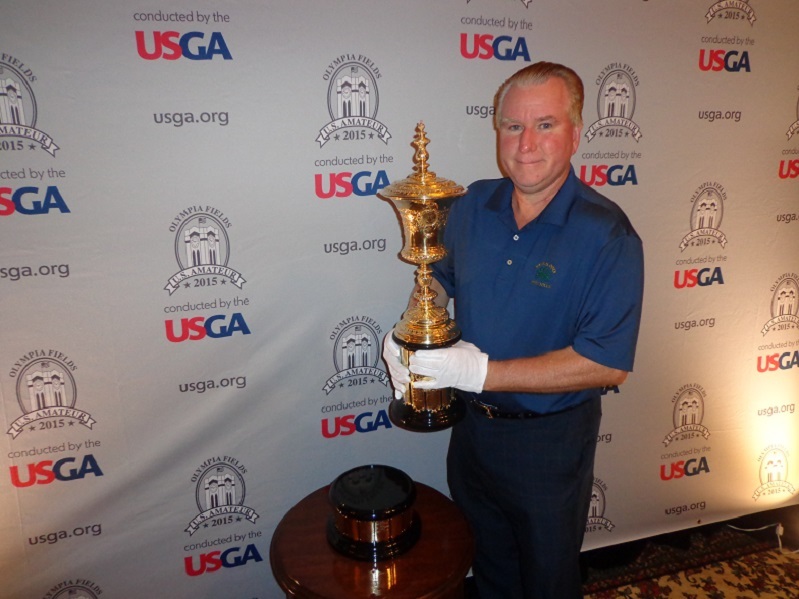 THE CDGA AND USGA will work together to host a qualifier for the 2018 U.S. Amateur Championship, to be contested at the Pebble Beach Golf Links in August of next year. The second course for the championship will be Spyglass, also a part of the Pebble Beach Golf Resort. The Par 4, 7th hole at the Preserve at Oak Meadows, located in Addison. 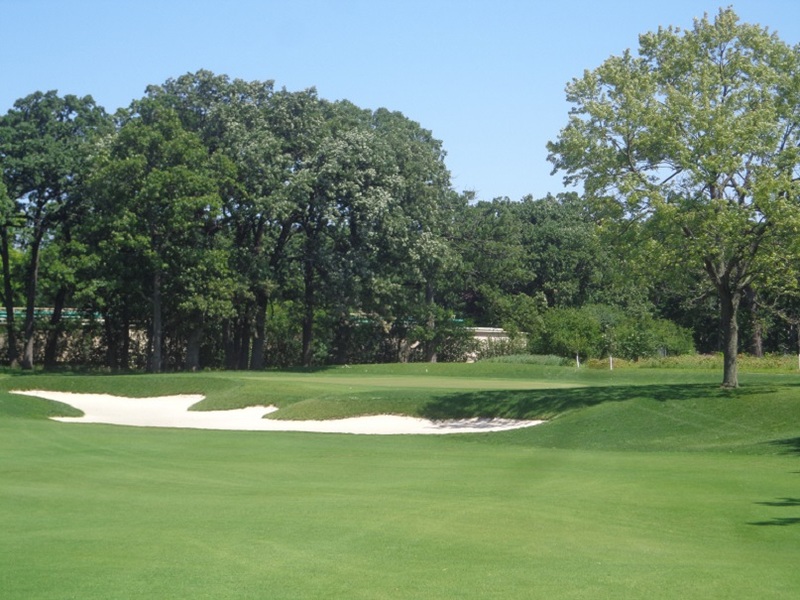 A qualifier for the U.S. amateur, will be the first USGA event brought to the Preserve at Oak Meadows in Addison. July 9th will be the date for the qualifier at the Preserve. The field for that day will be set after the deadline for entries has passed, and the number of playing spots on the line in the amateur field that day, will be determined at that time as well. It’s expected that many local players will use the Preserve site to try and qualify for the championship. More details to follow on the Preserve qualifier as the date gets closer, and or the USGA or CDGA releases further information.Follow updates at USGA.org and CDGA.org. THE GOG BLOG by RORY SPEARS, on the 18th green of Erin Hills in Erin Wisconsin with the U.S. Open Trophy. Follow Rory on Facebook, Linkedin and Twitter @GogBlogGuy. 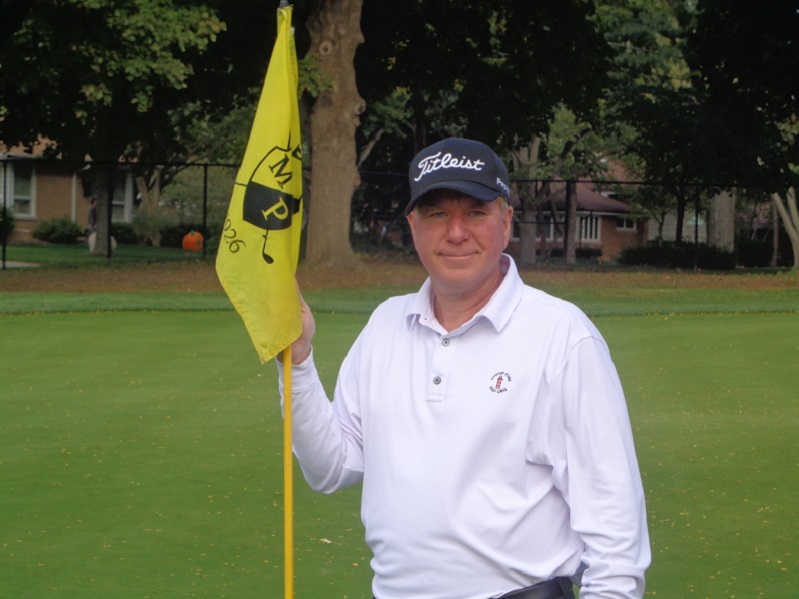 The fall golf season in the Chicago area is starting to wind down. A little bit north of Chicago is the state of Wisconsin where the golf season is getting closer to closing down. Several of the top courses and the destination properties in Wisconsin will be closing up their courses in the next 10-13 days or the end of October. For more information on Kohler Golf visit DestinationKohler.com or call (888)-293-7337. Erin Hills the site of this summers U.S. Open is still open for public play this month. 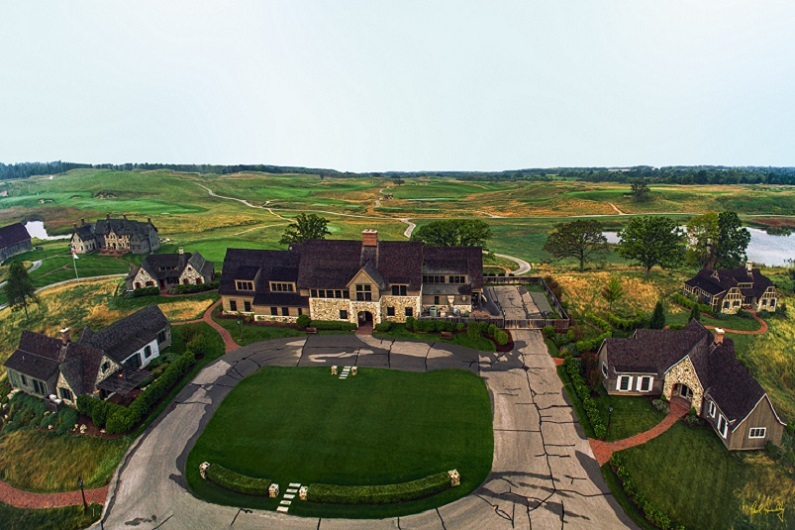 Erin Hills will be open through October 29th, and there are now specials to not only play the golf course, but spend the evening and enjoy the fine dining that is offered in the clubhouse. The course has been home to three USGA national championships, and will likely host more championships in the future. Erin Hills is now one of only six courses with public access to host a U.S. Open. Set up your round at Erinhills.com and or calling Erin Hills toll free number (866)-772-4769. The Par 3, 5th hole on Sand Valley golf course at the Sand Valley Resort in Wisconsin. SANDY VALLEY golf resort in the area of central Wisconsin, will remain open through the 29th of October. The resort founded Mike Keiser a man who calls himself, a person who likes to build fun golf courses. 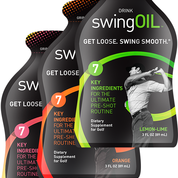 has created another links style golf destination. 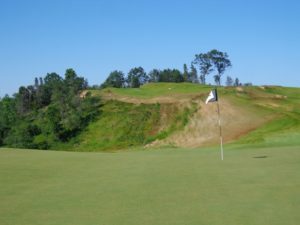 The resorts first course called Sand Valley, designed by Bill Coore and Ben Crenshaw has had all 18 holes open all season long. The second course by Bandon Dunes designer David Kidd, called Mammoth Dunes, has had nine holes open for most of the summer. This fall some of the other nine holes have started to open for play. The main clubhouse and practice area’s are now open, and a new Par 3 course is on the way. There is over night lodging on property in villas and or room in the clubhouse. Golfers on Golf will have a full report on Sand Valley next week after our visit. Golf in Wisconsin is starting to shutdown for 2017, so go play while you still can. THE GOG BLOG by RORY SPEARS, Editor and Director of Content. 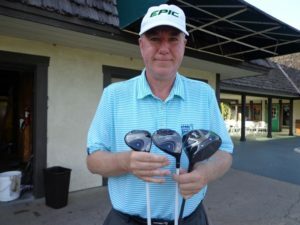 Follow Rory on Facebook, Linkedin and Twitter @GogBlogGuy with the new Callaway Epic Driver and Steelhead Black Fairway Woods. The Volunteer Registration has now opened for the 2018 Constellation Senior Players Championship, at the Exmoor Country Club in Highland Park, that will be contested from July 9-15. The Western Golf Association (WGA) will be recruiting more than 1,000 volunteers for the championship, to help make sure that championship week is a fantastic experience for all involved, from the players to the patrons that attend. Volunteer positions from inside the ropes to outside of the ropes are now open. Some of the positions include, marshal’s who work inside the ropes, to player and VIP transportation opportunities. To review all of the 20 volunteer committees, please visit www.cspgolf.com, click on the event tab and then the tab for “Volunteers”. Some positions fill up very quickly so it is wise to sign up as soon as possible. 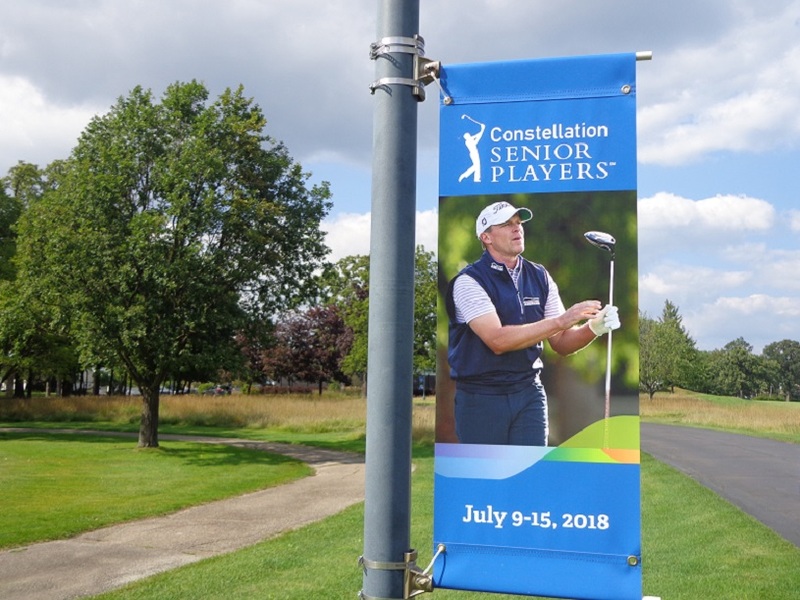 The Steve Stricker banner hangs on the entrance drive to Exmoor Country Club. To volunteer you must be 16 years old, and commit to work at least three shifts during the tournament week. Shifts do run from from 4-6 hours long, depending on your assignment. To volunteer you must purchase a volunteer package for $75, that is worth $353.00 dollars. The package includes. The historic Exmoor Country Club, Clubhouse. Food and beverage vouchers The volunteer experience is one that you can’t get in most other sports or at other major sporting events. Scott McCarron is the defending champion after a final round 66 at the Philadelphia Cricket Club, allowed him to defeat Bernhard Langer and Brandt Jobe by one shot to win this years tournament. The tournament is one of the five senior majors on the Champions PGA Tour. 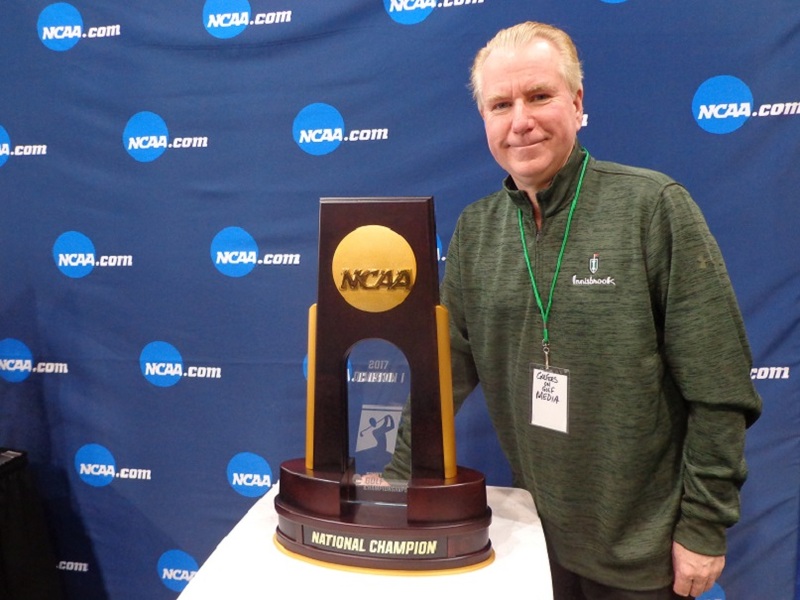 This will be the first time since the U.S. Sr. Open at Olympia Fields in 1997, the Chicago area will have conducted a senior major championship. 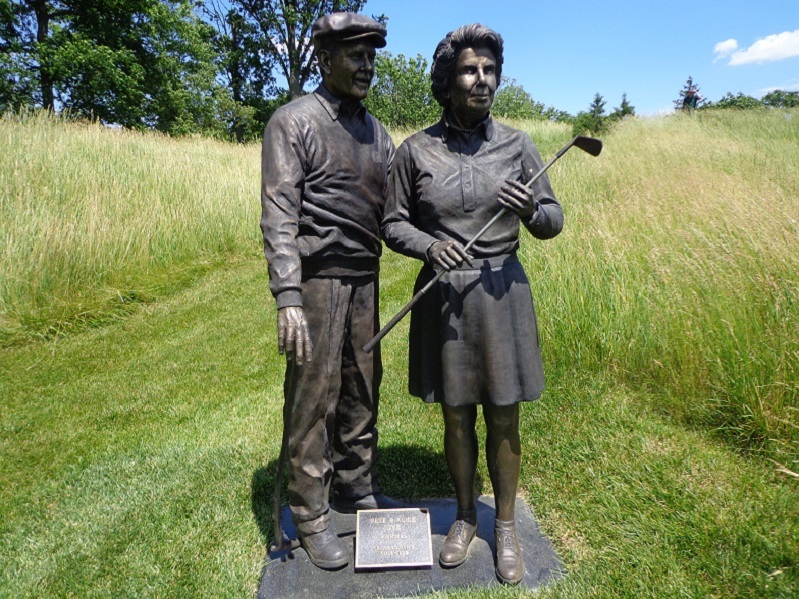 Exmoor is one of the seven remaining founding WGA clubs, and one of the original 11 clubs that founded the WGA. The club dates back to 1896 when architect H.J. 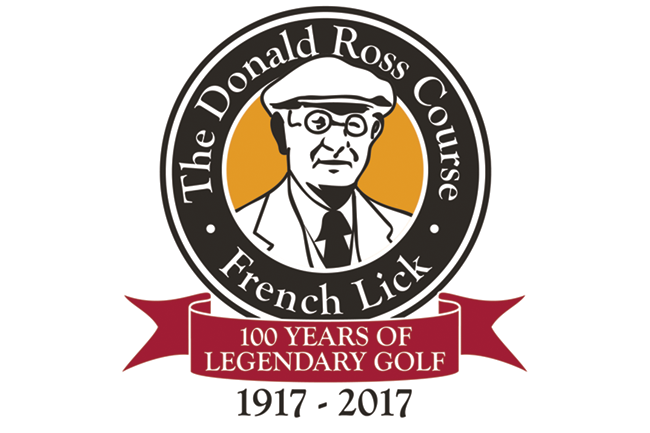 Tweedie designed the club, and in 1914 architect Donald Ross came in and redesigned the club. More information is on the club’s website, and more information on the Western Golf Association is found at wgaesf.org. It was one of those types of weekends. The Gog Blog by RORY SPEARS, Editor and Director of Content. Follow Rory on Facebook, Linkedin and Twitter @GogBlogGuy. 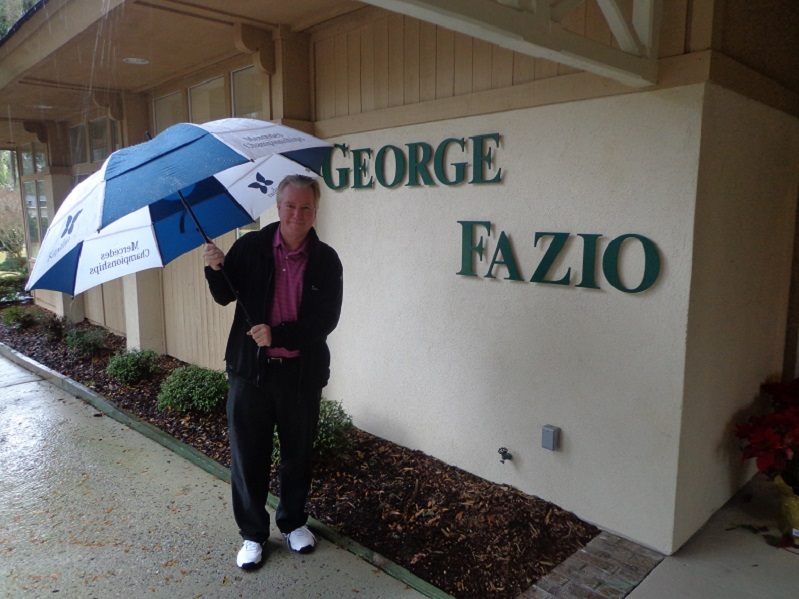 At the Fazio Course at Palmetto Dunes on Hilton Head island. RAIN RAIN GO AWAY, just what the Chicago area didn’t need this past weekend, a downpour the size of the one we had. The entire area got over 4 inches of rain, with the some area’s getting 8-9 inches. Yes we might have needed the rain in some area’s but certainly not that much, or enough to where flooding becomes a problem. Unfortunately, flooding is already a problem for some courses. Some clubs like Chevy Chase in Wheeling haven’t recovered from the July 11th flood that still has them shut down. I can bet the courses like Cranes Landing at the Marriott’s Lincolnshire Resort and others along the Des Plaines River or the Fox River have their challenges today. 2017 Western Amateur Course Skokie Country has some flooding issues again. 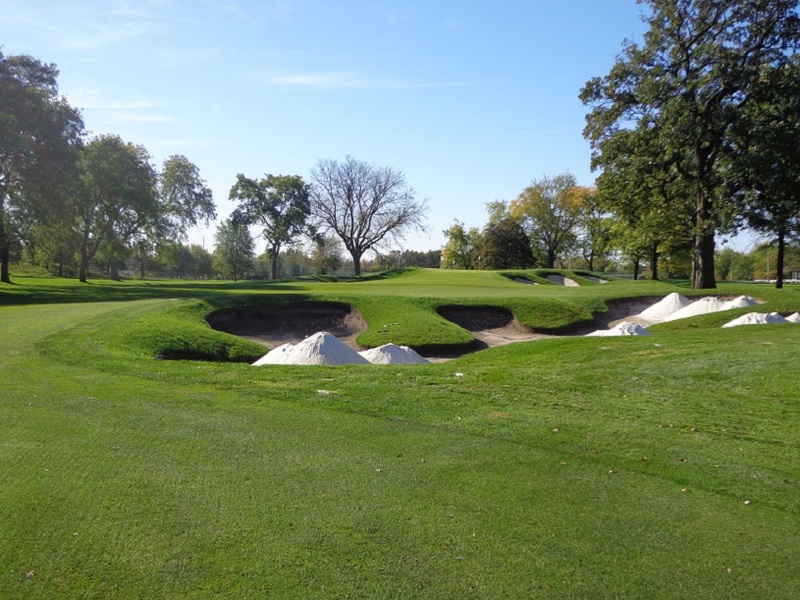 Superintendent Don Cross and his crew did a great job getting Skokie in shape over three weeks to be ready for the Western Amateur, won by new U.S. Amateur Champion Doc Redman. Blackberry Oaks in Bristol is closed until Wednesday and White Eagle CC in Naperville got over 8 inches of rain the club reports. Their island green is now truly an island. 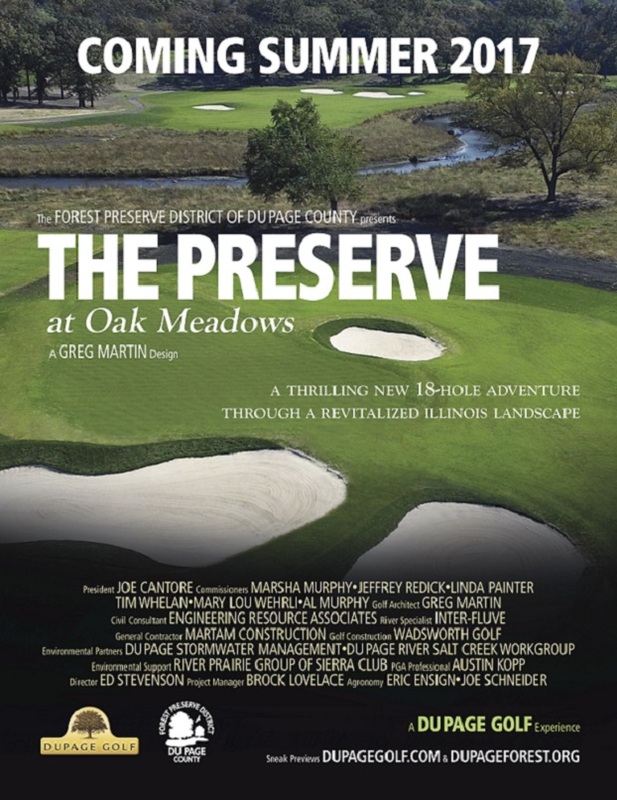 I have checked in with my broadcast partner Ed Stevenson the Executive Director at DCFPD for an update on the Preserve at Oak Meadows, and I am still waiting for his report. There is probably about 30 days left in our fall golf season, here’s hoping we stay dry for the rest of it. COG HILL reports that it’s planned Aeration for Course #4 Dubsdread of two weeks ago, has been pushed back to this week. The course will reopen for public play this Thursday. Coghillgolf.com for more details. THE WESTERN GOLF ASSOCIATION (WGA) will hold it’s annual Black Tie Fundraiser/Green Coat Gala on Nov. 3rd. Nick Faldo will be the guest speaker this year. See WGAESF.com for more details. 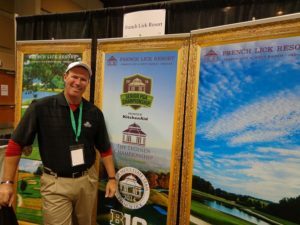 BIG 3 PARTNER LEN ZIEHM has two columns recently posted on his website Lenziehmongolf.com. The first is on Florida golf after Hurricane Irma, and the second on on Florida Pan-Handle Golf for those of you headed that way this fall or winter. CONGRATULATIONS to long time friend J. Michael DeAgostino on his upcoming retirement from the Grand Traverse Resort in Acme Michigan. Michael has been a long time friend to many of us in the golf media, and he will be missed. ON THE RETIREMENT FRONT, Titleist President and CEO Wally Uihlein will retire on January 1st after 40 years with the company, per multiple reports. The Wall Street Journal (take this for what it’s worth) says Uihlein is dumping slumping sales and a outdated business model on his successor. TIGER WOODS, remember him? Is putting out video’s showing him swinging a golf club again. ZZZzzzzzzzzzz! MAVERICK McNealy who is expected to be one of the new big names in golf, and recently made his professional debut at the Safeway Classic, has signed deals with both KPMG and Callaway Golf. he now becomes the younger model of Phil Mickelson. 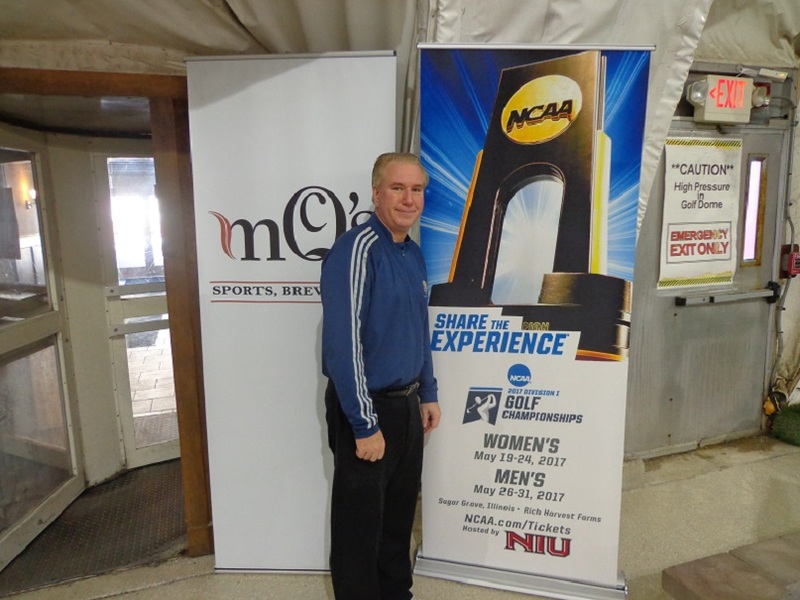 MCQ’s Dome in Bolingbrook, will reopen for golf in two weeks, says it’s Director of Golf Andy Mickleson. See MCQsDome.com for details. The University of Illinois Men’s golf team is competing this week at the Crooked Stick Invitational in Carmel. The tournament begins today. THE GOG BLOG by RORY SPEARS, Editor and Director of Content. 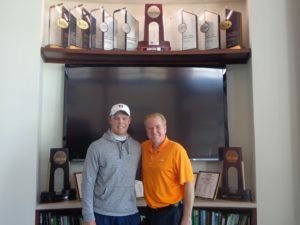 What a year for College Golf. Follow Rory on Facebook, Linkedin and Twitter @GogBlogGuy. The fall college golf season is moving along with tournaments continuing every weekend. But before I report on those, there are some updates on former local high school and college players trying to make their way on to the professional tours. 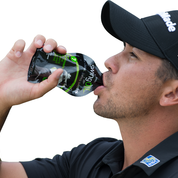 Both players recently competed in a Cactus Tour event in Arizona, Trilogy at Power Ranch, that was won by Miller at -7 with Postillion in second place a shot back at -6. The news was not as good at the Web.com Stage 1 Q-School in Houston for former Libertyville high school and Duke University standout Michael Schachner, who missed moving on to stage two by 3 shots. Schachner shot a 2 under par 70 in the final round to make a late charge, but it still left him just short of advancing. The Erin Hills coffee table book by Gary Damato, on sale at Erin Hills. 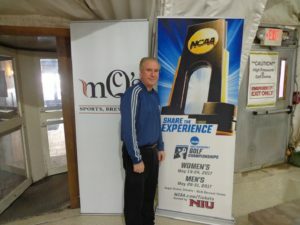 The Marquette University of Milwaukee Wisconsin, recently held it invitational that included 15 schools. Texas A&M came away the winner with a team score of just 2 over par. UCLA was second 11 shots back, with Marquette right behind in third place. Northwestern University struggle on the last day and fell back into 10th place, 36 shots behind Texas A&M. Northern Illinois University had a rough couple of days, ending up in 14th place and 50 shots behind Texas A&M. Erin Hills that played host to the U.S. Open in June, is still open for public play through the end of this month. 2017 Illinois Open Champion Patrick Flavin won Northwestern’s Windon Classic Invitational at Evanston CC this past week. NORTHWESTERN UNIVERSITY made a late rally in the final round to be crowned Co-Champions of their Windon Memorial Classic. This years classic was contested at the Evanston Country Club in Evanston. Penn State University was the other co-champion as both schools shot a 5 under par 835 for the tournament. The score was the third lowest in Windon history. Patrick Flavin who had a great summer winning both the Illinois State Amateur Championship and the Illinois Open, won the individual Windon Title as part of his school’s Miami of Ohio team. Flavin shot 65-72-69 to finish at 4 under par 206. THE UNIVERSITY OF ILLINOIS WOMEN’S TEAM is off to a great start this fall by winning it’s first tournament and then finishing second at the Coeur d’ Alene College Invitational in Idaho. Illinois was 11 under par and only Colorado at -18 was better. Sr. Grace Park was second after finishing the 54 hole event at 6 under par. THE ILLINOIS MEN’S TEAM finished 5th at the University of Cincinnati Bearcat Invitational in a field of 12 schools. The third and final round of the tournament was the highest score Illinois posted. Senior Nick Hardy shot 64 the first day, but could not break 70 in the final two rounds and finished 6th, Dylan Meyer had a second round 67 and was 18th. Illinois will compete in the Crooked Stick Invitational this Monday and Tuesday, with 36 holes being played on Monday and 18 on Tuesday. Illinois won the tournament in 2015 by a whopping 19 shots led by champion Charlie Danielson. Illinois did not compete in the tournament last year. THE GOG BLOG BLOG by RORY SPEARS. Editor and Director of Content. Follow Rory on Facebook, Linkedin and Twitter @GogBlogGuy. On the 7th at Mt. Prospect Golf Club. IT’S ALWAYS a good idea to check back in on the courses that have done some recent renovation work. This past week I choose to see Mt. Prospect Golf Club, now open two years from renovation, and I must say that course conditions are outstanding. For whatever the reason, I don’t score as well as I used to before the Dave Esler renovation on Mt. Prospect, but I do love the golf course. It now has a 1926 historic look and feel to it. Mt. Prospect like the Preserve at Oak Meadows, are prime examples on how even after the reopening, it does take a bit for all the grass to grow in, and the turf to look like it’s been there for a full decade or so. The Par 3, 16th hole is a Biarritz style green, with a sharp dip in the middle of the green. Not only was the turf from tee to green in great shape, but the greens were in outstanding condition. A tip of the golf hat or golf visor to the superintendent Darin Douglass for his hard work. During my last conversation with the Director of Golf Operations at Mt. Prospect Brett Barcel, he spoke of how business is up since the reopening. Which again goes to show that courses that are putting money back into the product, are seeing the return on their investment. 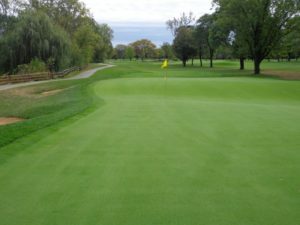 Other suburban public courses including Arlington Lakes in Arlington Heights, Fox Run in Elk Grove, Wilmette Park District in Wilmette, Glenview Park District in Glenview, Arrowhead Golf Club in Wheaton, Mistwood in Romeoville, are all sharing similar tales of good news in the amount of rounds and business. 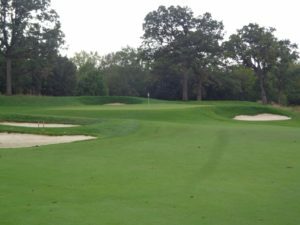 I suspect Schaumburg golf Club will see a rise in play over the next three years as their three nines reopen from renovation. Phase 1 is off to a great start. The 175 yard Par 3 12th hole is one of the 5 par 3’s at Mt. Prospect. In the clubhouse I tried the new Mt. Prospect burger on the menu this year, and passed all the taste tests I had. Yum! 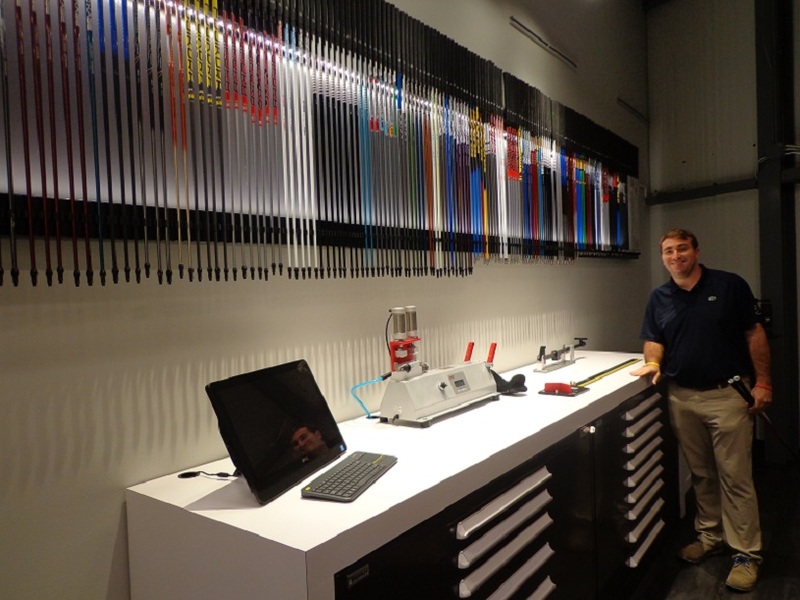 The clubhouse and redone pro shop are some of the other improvements that have really put Mt. Prospect back on the map. The new practice facility with the double ended range and short game area is something Mt. Prospect needed as well, and the golfers have found it when practice or lesson time is needed. With the fall golf season down to about 30 days, unless Mother Nature gives us a late November Indian summer, go out and play Mt. Prospect and see what how this new older classic golf style course plays. It’s a real treat. 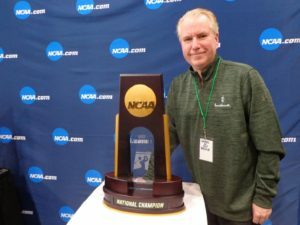 THE GOG BLOG SPEAKS OUT-GOLF AT WRIGLEY? THE GOG BLOG by RORY SPEARS, with a full set of Callaway Woods. The Epic Driver and Steelhead Fairway Woods.. Follow Rory on Facebook, Linkedin and Twitter @GogBlogGuy. This time of year for many years Wrigley Field sat quiet, that hasn’t been the case now for three straight years. Last year was the end of the draught, with the Cubs winning their first World Series in 108 years. But wouldn’t it be nice that once the season ended, or maybe during a break during the season, that Wrigley Field like Petco Park in San Diego could be come a nine hole golf course. Petco Park which is no longer needed for baseball this year with the Padres season over, has created a nine hole course inside the park with the help of Callaway Golf. Now that is a wonderful idea, and it’s one that would sell very well here in Chicago. The Nine Hole Course at Petco Park in San Diego. One would think that with the Cubs and the Ricketts family always looking for alternative revenue streams, that the Links at Wrigley could raise countless bucks. What about the divots you say? Well that’s no big deal, mats are an option in the tee boxes but hopefully it would not come to that. After all, a golf course sure trumps the idea of having another Zach Brown Band, (or ZBB as some call it) concert at Wrigley that already tear’s up the outfield grass. As someone who has hit a few golf balls in Wrigley Field it’s a lot of fun. For a special exhibition during BMW Championship week a few years ago, BIG 3 partner Len Ziehm and I hit a few balls from a tee set up in the right field bleachers to a make shift green in the left field corner. 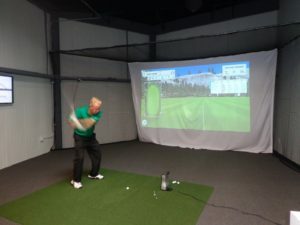 Some witnesses says my second shot won the closest to the pin contest, although for the sake of the contest, PGA Tour pro Dustin Johnson was the announced winner over a few other celebs in the competition. One would think that historic baseball venues would make great short courses. Fenway, Yankee Stadium, Dodger Stadium, maybe PNC Park in Pittsburgh. All great venues. If fall continues to be an issue on the Northside, maybe the Cubs can have a nice 10 day road trip before or after the All-Star break that would allow for mid-summer golf at the Friendly Confines. A tee box in the bleachers would be a great idea, or the upper deck. For those who like some elevation change on their course, Wrigley could sure have that. THE GOG BLOG by RORY SPEARS, Editor and Director of Content. Follow Rory on Facebook, Linkedin and Twitter @GogBlogGuy. On the Preserve’s 2nd tee box. 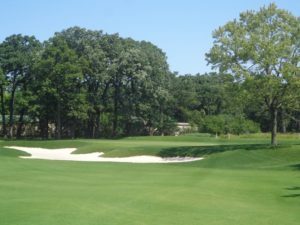 This past week I made a return visit to the Preserve at Oak Meadows in Addison, and found the golf course in great condition. But if there is one thing missing at the new Preserve, it’s a new clubhouse. 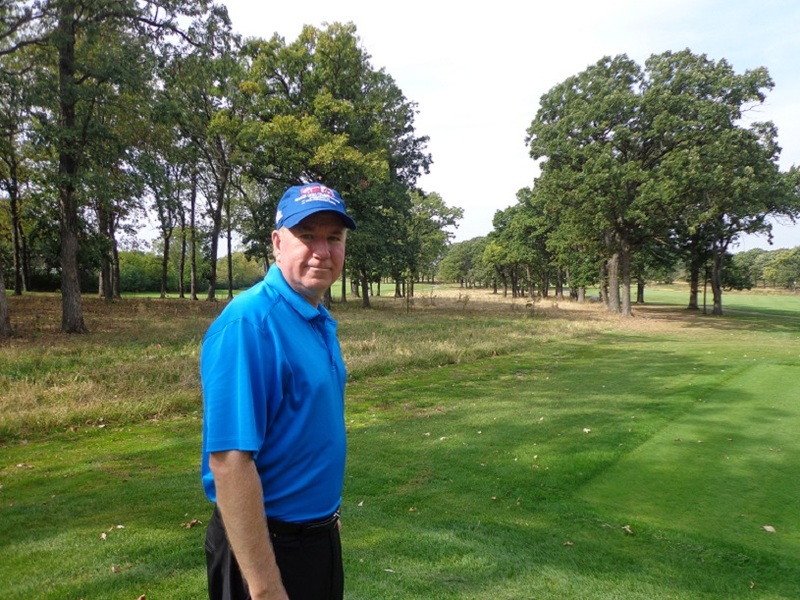 The good news is that progress is being made by the DuPage County Forest Preserve District, that operates the golf course. Earlier this year, the DCFPD began working with architect Dan Wohlfeil on creating potential clubhouse designs. Based on the initial drawings submitted by Wohlfeil, the DCFPD has elected to move forward to the next step with Wohlfeil which is completing the next level of drawings and planning. Some of the drawings submitted by architect Dan Wohlfeil. The next phases of developing the new clubhouse at the Preserve are, not only reviewing costs, but getting all stages of planning and permitting done. These next stages and subsequent approvals that will be needed by the board, will run through 2018. 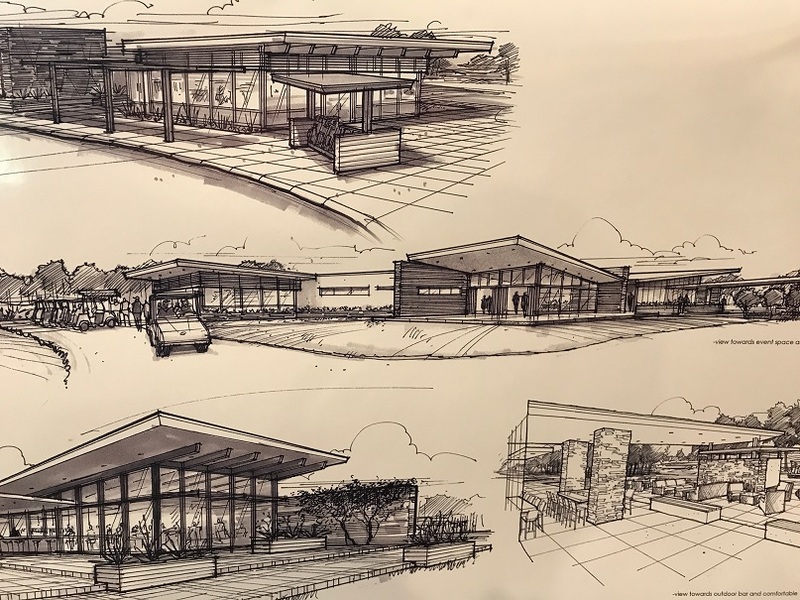 The DuPage County Forest Preserve District is hopeful that construction can begin in 2019, with the new clubhouse opening for business in 2020. The new clubhouse will be built on the area of the old Oak Meadows and Elmhurst CC clubhouse location, but there will be other changes in the area where the current pro shop stands. For more information follow DuPagegolf.com.